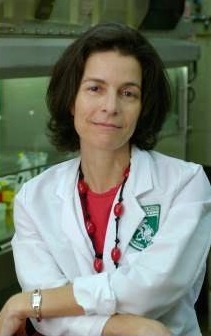 “Today we are seeing a revolution in the treatment of melanoma and the Hadassah Medical Center is among the world leaders because we always believed that the immune system can combat cancer,” says Dr. Michal Lotem, head of Hadassah’s Center for Melanoma and Cancer Immunotherapy. The strategy underpinning Hadassah’s work is to marshal the patient’s own immune system to fight advanced melanoma. Dr. Lotem spent two years at the National Cancer Institute in Bethesda, MD, under the mentorship of Dr. Stewart Rosenberg, a pioneer and leader of modern cancer immunotherapy. Fortified with this training, she developed a melanoma vaccine that she has been using to treat advanced cases of the disease for 16 years. Hadassah is on the cutting edge of developing unique protocols that offer patients a personalized approach to preventing progression of their disease or its recurrence. 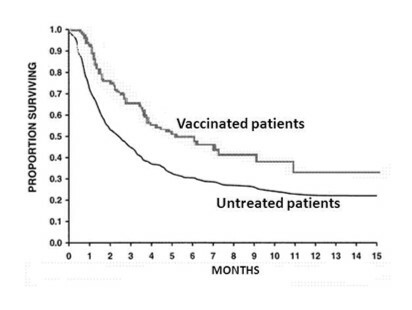 Using the patient’s own tumor to create the vaccine, Dr. Lotem’s clinical experience reveals that vaccinated patients have a higher survival rate than those who are not vaccinated. To date, over 200 patients have been treated with highly satisfactory results in terms of safety, lack of toxicity, and effectiveness. The 2014 version of her melanoma vaccine is genetically engineered to use up-to-date immunology to produce a stronger immune response to the tumor. Thirty patients are in the treatment group for this first year of the vaccine. 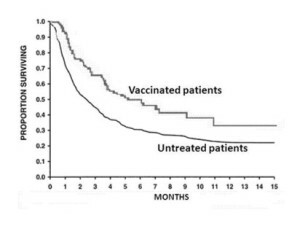 Dr. Lotem reports that the evidence thus far is showing that the vaccine produces strong immunity; now, she is hoping it will translate into improved survival rates for her patients. Hadassah is also beginning to treat patients with an even more advanced therapy for metastatic melanoma that was developed by Dr. Rosenberg and is available in only about a dozen medical facilities worldwide. Employing “adoptive transfer of tumor infiltrating lymphocytes (TILs),” this treatment, called TIL therapy, is based on releasing immune cells from the melanoma tumor and expanding these cells to billions more in a specialized laboratory. The cells are then transplanted back into the patient. A 75-year-old male for whom other advanced therapies did not work, has been responding well and is improving on a daily basis. In addition, Hadassah is engaged in pre-clinical studies with a new immune molecule that its researchers have identified and are examining for enhanced anti-cancer immunotherapy. This new compound, which is critical for immune cell activation, is currently being tested on mice.